U.S. rapper Cardi B at the 2018 American Music Awards in Los Angeles, California, Oct. 09, 2018. Adding to the star power, Motown legend Diana Ross will take the stage to mark her 75th birthday in March, and hopes are high that Lady Gaga will perform her Grammy and Oscar-nominated song "Shallow" from the movie "A Star is Born." Yet Cardi B is likely to grab most of the attention. 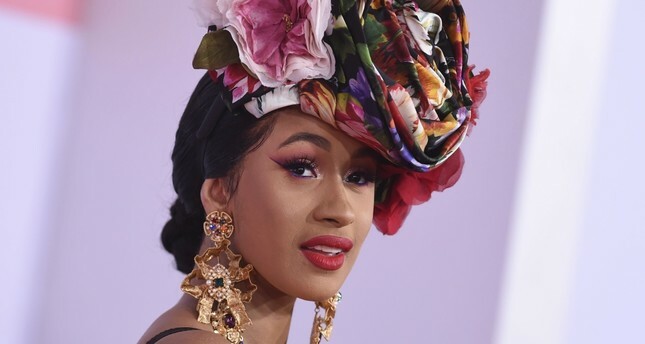 The 26 year-old New York artist is one of only a handful of female rappers and has captured attention with her message of female empowerment, on and off marriage to rapper Offset, and a string of hit records and collaborations, including "I Like It," "Girls Like You" and "Taki Taki." This year five of the eight nominees for the coveted album of the year award are women - Cardi B's "Invasion of Privacy," Janelle Monae's "Dirty Computer", folk singer Brandi Carlile's "By the Way, I Forgive You," country artist Kacey Musgraves' "Golden Hour" and R&B newcomer H.E.R. 's self-titled "H.E.R." Six of the eight musicians competing for best new artist are also women, including "New Rules" British singer Dua Lipa, Chloe & Halle, Bebe Rexha and H.E.R. Lamar leads with eight nods, many of them for writing most of the "Black Panther" movie soundtrack album, which is up for album of the year. Drake, the most commercially successful artist of 2018, follows with seven nominations, including for his album "Scorpion" and single "God's Plan." It is not yet known whether either of the rappers will perform on Sunday. The Grammy Awards take place in Los Angeles on Feb. 10 and will be broadcast live on CBS television at 8 pm ET/5 pm PT (0100 GMT).